I’ll bet you haven’t seen the MDX or RDX driven like this before. 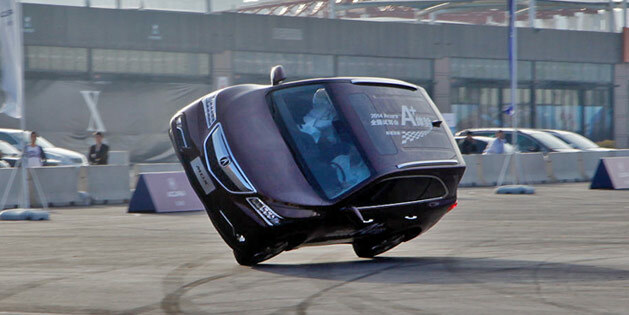 Two wheel driving, burnouts and 180s were some of the stunts performed at the Acura China “A+ Experience” kickoff event last month. The “A+ Experience” is what Acura China has named their national test drive tour that will run throughout the year. Check out the 2:31-minute video below. So huge burnouts 🙂 There is an idea for Acura Russia. Burnouts is the main thing you came away with from that video? I’m a little more impressed w/ the ability to ski a top heavy, full-size SUV! Skiing MDX is beyond my recognition. Not sure how they did that…..it is also beyond me how they not only did it, but w/ so much balance and stability.